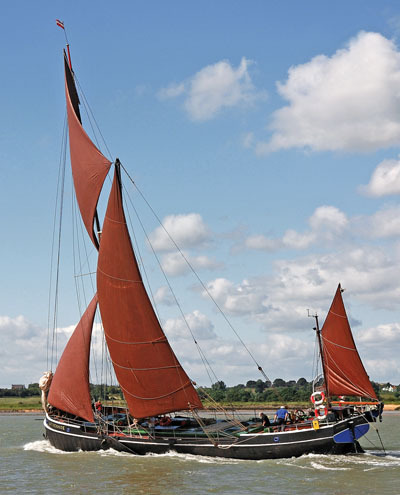 Built in 1898 by Forrest & Sons Limited, WYVENHOE is a Thames Sailing Barge built of steel. Her current engine is a Gardner 6LXB made in 1986. 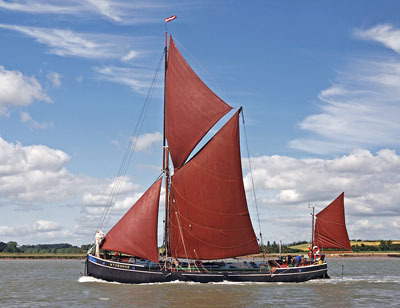 She was built for a gentleman of Greenwich with the purpose of entering the Barge Matches, but in 1903, she was sold to the London & Rochester Trading Co. and began her true vocation as a commercial barge working the East Coast, Thames and Northern Europe. An engine was fitted in 1923 and her rigging removed, thereafter she worked as a motor barge until 1983. 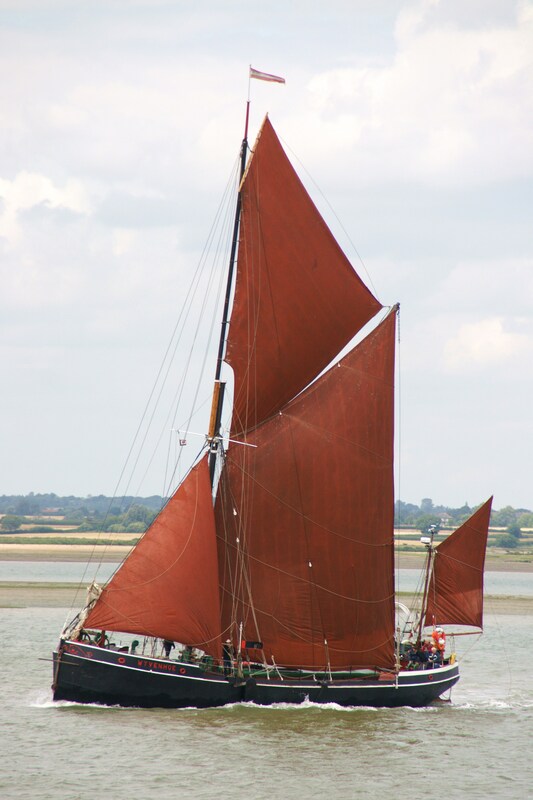 Her working life was 80 years, which is claimed to be the longest of any British registered vessel in this country. 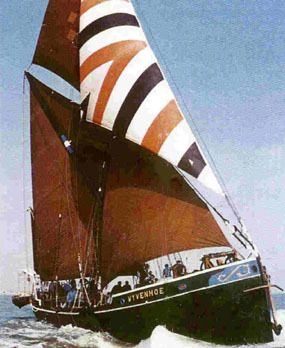 In 1984 she was re-rigged to sail and used for entertaining corporate clients. 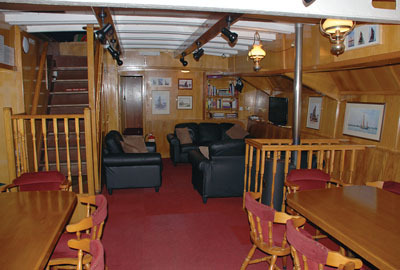 With the below deck area converted to accommodation, she then became a static base for corporate training and entertainment in London. In 1999 Wyvenhoe was apparently seen to be blown up by a rocket in the opening sequence of the James Bond movie, “The World is not enough”. Luckily, it was all an illusion and she was entirely unharmed by the experience. 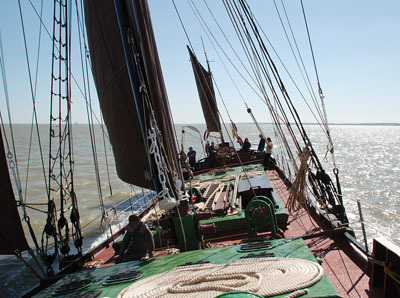 In the same year she was visited by the Queen at Windsor as part of the centenary of the Windsor Sea Scouts. 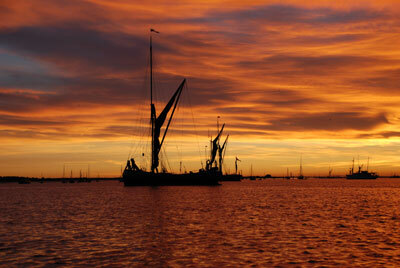 However, by November 2003 she lay moored up and neglected in a London Dock and was bought by the present owners. After a refit and expenditure of over £250,000, her owners believe she is now the finest barge afloat. 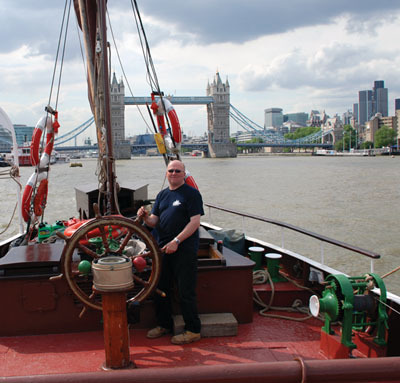 The work has included extensive welding and re-plating on the hull, anti rust treatment and extensive paintwork renovation, renewal of much of the rigging and fitting of new electrical equipment. Below deck there is a redesigned interior with new cabins for 12 bunks, and new water tanks, toilets, fridge/freezer, showers, and heating. Maintained in full sailing order, she has sailed almost 12,000 nautical miles since 2004.